Used in fluidized bed and soda ash boilers, these studded tubes are fabricated using capacitor discharge technology for studding. 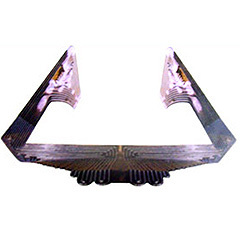 Studded tubes help to improve heat transfer and minimize erosion due to ash and direct impeachment of coal in boilers. Proper contact between the tubes and the stud is ensured. Carbon steel or stainless steel studs are used depending upon the service conditions of the boilers. BR & 3rd Party inspection undertaken. 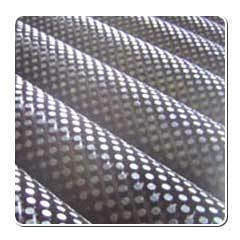 Tube panels are fabricated using premium grade raw materials in carbon steel or alloy steel as per the customers' requirement. Layers of tube panels involving multi radius bends, overlapping each other to be accommodated in lesser space for ultimate efficiency. Compact size and leak proof assembly. Widely used in water tube and waste heat recovery boilers, tube panels can be customized as per the specifications and drawings of customers. Smelting units, power stations and sugar plants are the common buyers of this product. IBR & 3rd PARTY inspection undertaken. Looking for Boiler Tubes & Boiler Panels ?